Meet Carmen Botman! I thoroughly enjoy her company and can’t wait to read her work. Tell me about your journey as a writer. My journey has actually been a lifelong one. I knew that I wanted to be writer from a very young age, writing my first story at the age of six. When I was nine, I asked my parents for a typewriter so that I could start typing out my stories. My parents were always (and still are) very encouraging and bought the typewriter (an orange/pink Olivetti), which I still have to this very day. After school I studied something completely unrelated (Occupational Therapy) and stopped writing for a few years. About three years ago I started writing seriously again and I don’t intend on stopping anytime soon. After all these years, things have come full circle, and I realise that I have always known that I still want to be a writer. How did you decide on the names for your stories in STORM? Dahlias and Daisies was straight forward – it’s the flowers that feature in the story. For The Icarus Curse, I was trying to think of a metaphor for one of the characters in the story. I remembered the Greek myth of Daedalus and Icarus that we learnt about at school and thought that it was a good match. What was your favourite part of the writing process for your STORM stories? The flow was really easy for both stories. I actually started Dahlias and Daisies first, but struggled a bit because dramas are not really my forte. I got the idea for The Icarus Curse, started on that and it flowed easily. When I was done, I rewrote the beginning of Dahlias and Daises twice and then the words came – thankfully. What was the most difficult part of the writing process for your STORM stories? I challenged myself in both of them. This was both the first dystopian story and the first drama I’ve written. It was difficult at times, but very rewarding in the end, so much so that I want to experiment with more genres to see what else I might like. 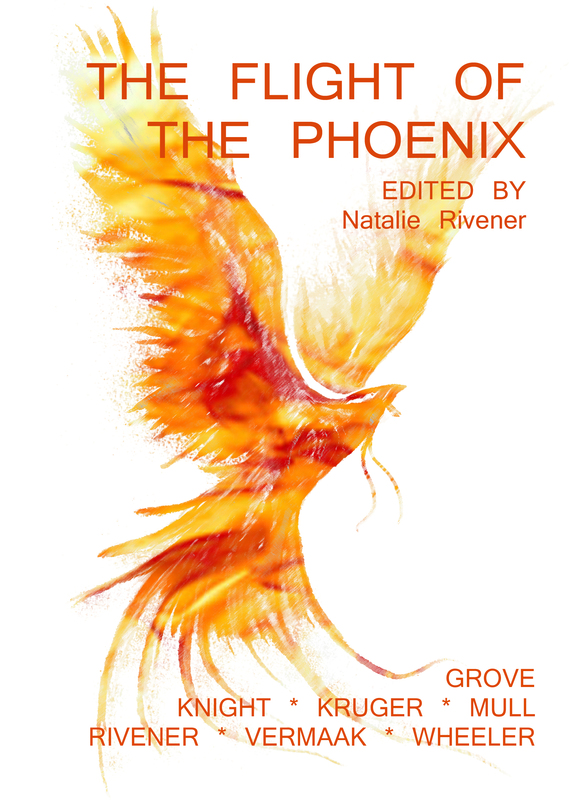 I am currently working on another, yet untitled story for The Flight of the Phoenix anthology. I am once again challenging myself to the nth degree, so we’ll see what happens in this one. This entry was posted in About writing and tagged anthology, author, carmen botman, interview, short story, STORM. and i am really pleassant to read all at one place.